The Trump Administration was recently ushered into office and transforming the healthcare system of America was one of their most prioritized agendas. Donald J Trump had strongly criticized the preexisting healthcare laws and vowed to change them following his entry into office. 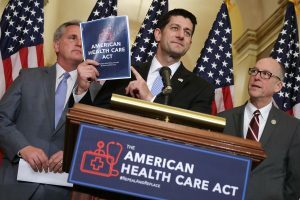 It was not long before the Republican president swung into action to overhaul the Obama Care law, which the previous regime had put in place following years of deliberations and research. According to Trump and his supporters, the Obama care law had many frailties. These are the ones which made it unfit for use as the main law governing the healthcare system of the country. In a speech made to the press and the general public, the president clearly indicated his desire to root out the law and whatever policy changes came with it. As soon as Trump was ushered into office, he did not hesitate to dismiss the Obama care law. 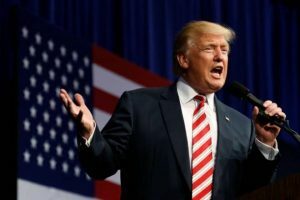 Even though there were some congress members who were against this idea, the president took advantage of the significant fraction of other members who were in favor of the changes. The president and his allies were not willing to repeal every policy of the Obama care. They believed (and still believe) that the law had some policies which are worth retaining in the new healthcare law for the American people. But, the major features of the Obama care law have definitely been deleted and will not be called to mind when the new law comes into effect. What does it mean for the American people? To suggest that the Obama care law was bad in all respects is obviously wrong. But, to suggest that the law did not have any frailties is also far from being true. The best way to gauge the relevance of the law to the American people is to find a balance between the two extremes. In order to know whether the move by the Trump Administration to repeal the contents of the Obama care law was a good one or not, it is important to understand the impact the new law will have on the American healthcare system. The following are some of the major changes that will come with the new law (Affordable Care Act, ACA). Timeline changes for insurers; there is a new timeline for insurers. Instead of the period lasting between November the 1st and the 31st of January as stated by the previous law, the new policy has a period lasting between the 1st of November and the 15th of December. Enrollment period changes for insurers; based on the new law, the enrollment period for the 2018 exchanges have been cut in half. This means that people now have a change to wait for a much shorter time frame before they can sign up for insurance coverage. The open enrollment period will now last for only one and half a month. Favoring the insurers; the insurers have undoubtedly fancied the enactment of the law considering that it favors them a great deal. Most notably, the new law does not require them to cover many areas of health to qualify for specific medal levels. With minimum coverage of certain areas of health, insurers can still qualify for medals such as bronze, silver and even gold.